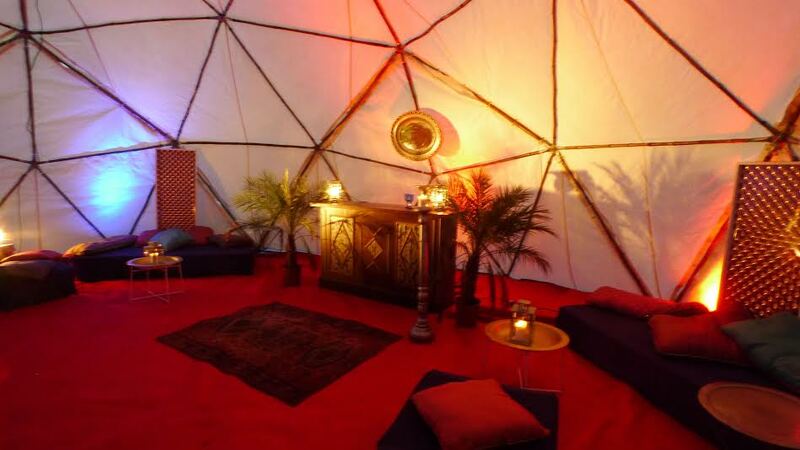 Silk Road Tents are a leading canvas marquee and tent company based in Ireland. 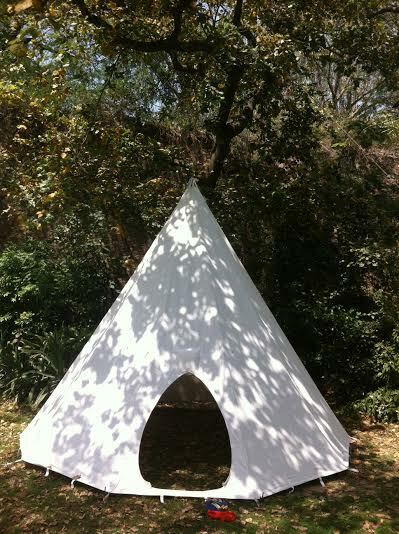 They provide tents and accessories for all your Boutique Camping needs from traditional Soix Indian tipi's to Mongolian yurts, they also supply 4m and 5m bell tents. They are also working on a prototype single pole tipi tent design at the moment which they hope to have available for the coming festival season. Their tents come ready erected so there is no hassle having to carry your gear into the festival grounds finding a spot and having to set your tent up. They come carpeted, with a low table, candle lantern, water bottle, kitchen roll, door mats & bin. They also supply blow up air beds, which come fitted with linen, pillow and a duvet. They can supply sumptuous luxury packages which come fitted with vintage furniture, metal framed bed with a real mattress, Egyptian cotton sheets, feather duvets, antique rugs. This is mostly suited to the yurts! Silk Road Tents work at a number of other festivals in Ireland, including, Body and Soul, Life festival, Electric Picnic, Castlepalooza, Vantastival, they even supplied tents to Ted fest out on the Aran Islands. They have a pretty impressive portfolio and we are delighted to have them supply Spirit of Folk with Boutique Camping. 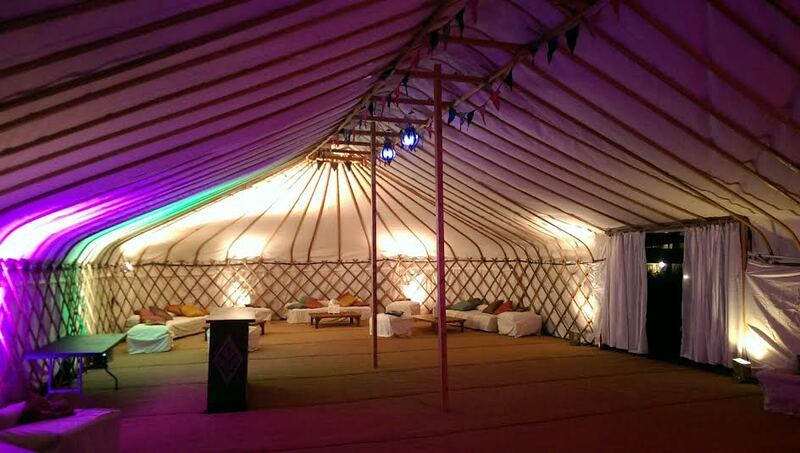 As well as festivals they supply all types of tents for weddings, corporate events and parties. They build and design nearly all of their tents themselves. 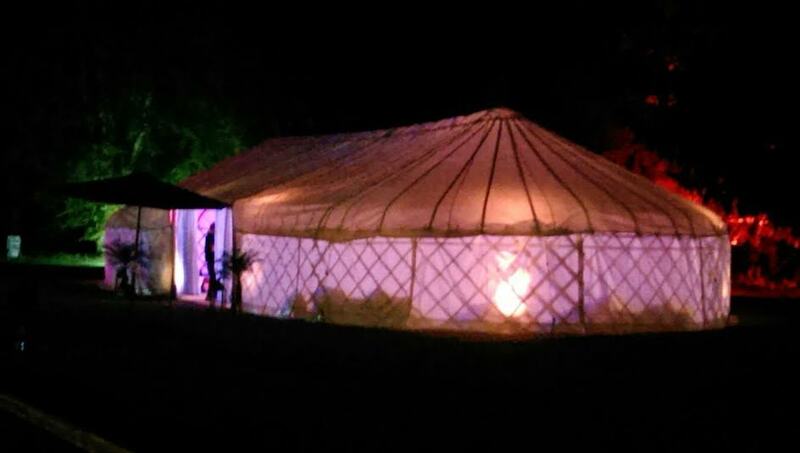 They have been working on a few designs this year including a slightly different 10m geodesic dome tent, a brand new yurt marquee which stretches in length from a 9m round up to 24m 80', and single pole Tipis. Silk Road Tents certainly like to think outside the box and work very hard to create something unique & special for their clients. 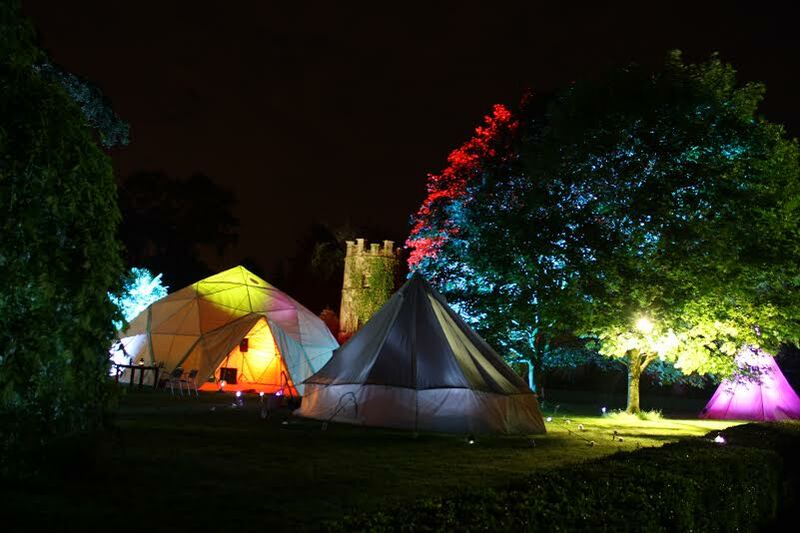 Silk Road Tents have had a great working relationship with Spirit of Folk festival from the very beginning, supplying marquee and tipi's on site for entertainment and artistic spaces. They even had a stall selling sheep skin rugs and our wares from around the world. We worked on the promotion of Spirit of Folk one year and set up a tipi for a shoot on good morning Ireland for TV3. If you are lucky enough to be staying in one of their fabulous tents this weekend at Spirit of Folk you are in for a truly unique & wonderful boutique camping experience! !